Hey everyone! Since we're now several days into the new year, I figured I had better take a few minutes to blog something. 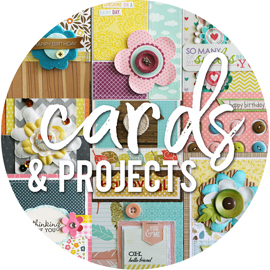 Since making the decision to step down from Bella Blvd four months ago, and with really only one commitment each month to scrap for, I have obviously been doing less scrapbooking overall, project wise (I still do tons of scrap related things and odd projects here and there). I think part of that was just going from doing a TON on scrap work, and being super involved in the industry, to doing hardly anything at all. It was a big change, and a big adjustment for me creatively. With less direction and less assignments, I'm really on my own as far as what I want to work on. And while this can be a great thing, it can also be overwhelming. It's as if I have no clue what to work on most of the time. Soooooo. I needed to come up with a plan. I've been thinking a lot about what I want to accomplish, scrapbooking wise, this year. What it is I want to focus on. What is more important to me now, as opposed to last year, or even five years ago. 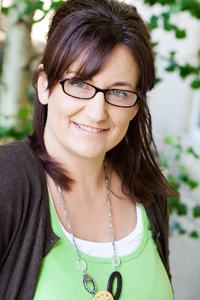 A month or so ago, I read THIS blog post by Ali Edwards, talking about finding your "enough". Whether it's figuring out what projects are enough for you, what supplies are enough for you, what techniques are enough for you, what stories are enough for you, and/or what photos are enough for you. I love this idea. Things change from year to year, and what is important for you to document and work on one year, may not be as important to you the following year. There's only so many creative hours in my days (not sure about YOUR days), so figuring out how I want to spend those hours, and knowing my "enough" for the year sounds like a good thing. 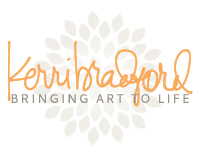 I was then reminded of THIS blog post by Becky Higgins from a year ago. 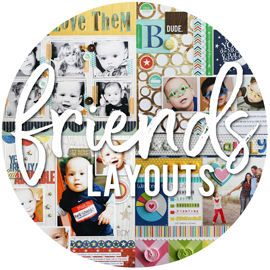 I love reading about other people's process, when it comes to documenting, and the how and why behind their scrapbooking choices. And I found this post full of great ideas and tips. While I am not a diehard Project Life fan, I find myself saying "yep, I get that" and "yep, I do that" to so much of what Becky talks about. Not just in that one post, but with so many of her thoughts on scrapbooking, organizing, and documenting. Then, late last week, Becky shared THIS blog post. Basically an overview of what she did this past year, memory keeping wise, and what she'll change going into this year. More great tips, especially on managing photos on your phone. Many of which are things I do already (daily delete, dump and backup, etc). 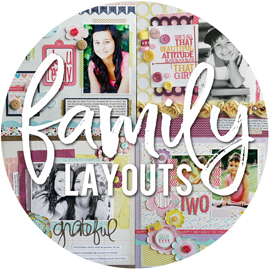 Several months ago, I also decided to take Scrapbook Your Year, a self-paced e-course from Cathy Zielske. The entire concept behind this course is something that I've had in mind for a few projects I want to take on. And while I can totally do it on my own, I knew that there would be some great info, some great resources (templates, digital cards, etc), and hopefully give me a little kick in the tush to get moving on it. And it has. Somewhere along the way, my mind compiled lots of the thought processes shared between these three blog posts (and one e-course) - and most likely additional thoughts I've read on social media, whether from Ali, Becky, Cathy, or someone else - and after mulling them over, I kind of sort of came up with some scrapping goals for this year. I partially completed my Project Life album for 2016. What I feel very proud of is that I have all of my photos in the albums (I ended up with two albums) for the entire year. All fifty two weeks worth! That's a massive accomplishment to me. But. I only have filler cards added in for the first four months of the year. I was doing this part once a month, just like I was adding the photos in once a month. But I got off track at some point, and never quite got back around to doing the filler cards. And if I'm being totally honest, I haven't done any journaling yet, or made my weekly title cards. I have post it notes in the pockets, telling me which week the spreads are for. I still feel great about the project, and I have no doubts that I can get it all finished up. All of the info that is needed to journal can be found on my Instagram photos, or by simply asking the girls to tell me about their photos. I am going to re-think the way I was doing the filler cards. But only because I have eight full months to get added in. So if I change up the way I was doing them a bit, I would only need to go back and fix four months worth. If I had more months that had the filler cards added in, I would keep going with what I was doing. Project Life is something that I do want to continue with for this year. I love that it's a random assortment of photos from our daily/weekly lives, giving little glimpses into our everyday doings. Some photos could probably be used on a layout, and some have a larger story to tell. But the majority of our pictures these days are just little things, random things. Nothing worth doing full layouts about (personal preference of course). 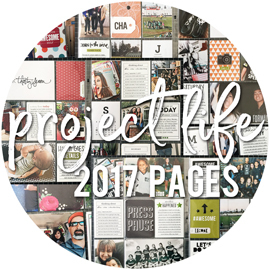 So the Project Life concept is a good fit for those photos, and giving a home to all of the randomness of our lives. This is a huge one! I'm not even sure I should put in on my list right now, as I know it will be a huge undertaking. But I do hope that I can get a start on it at some point this year, even if it's just working on parts of it. It's kind of the same idea as the daycare albums. I have more albums than I can even count, containing more layouts that I can even count, filled with photos and stories from our daily lives. However, there are also tons and tons of photos that have never been scrapped, and stories that didn't quite make it onto layouts. I want to have a one-stop look at each year, that includes a wide variety of photos from the year. Instead of having layouts spread out into different albums (Alyssa's albums, Sarah's albums, my albums, family albums, etc), and only finding the photos that I decided to scrap. 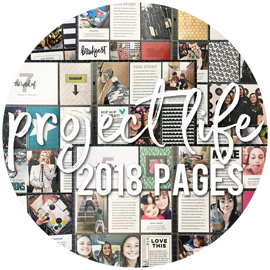 I have this idea of doing something along the lines of Project Life type albums, but without all the fuss. The photos would be the focus, and whatever stories and journaling I can remember, or want to add in. I'm still tossing around the idea of doing physical albums, or digital. I might even do a mix. Maybe do physical for the earlier year, as the first 10 years of Alyssa's life and the first 7 years of Sarah's life were on film. And then maybe I'll do some digital albums for the years I had digital photos. We'll see if I can settle on a solid plan. I started working on the girl's sports albums last year, and would love to finish those up. I haven't shared too much about them (other than some photos along the way on Instagram), but I did talk a little about them HERE. These are going to be very simple albums, that are probably 85% photos. I've already printed several years worth of photos and they're all slipped into the pocket pages already. Truthfully, I have many years of sports with no photos to show for them. I simply stopped taking photos at games, after years and years of taking hundreds of photos at each game. So some years will be very simple to do. I've already die cut team names for all of the divider pages, and most of them are even adhered to the pages, along with team photos and individual photos of the girls. So while I've already made some great progress on these albums, at some point I pushed them to the side, and I haven't gone back to them. The most time consuming part of what's left to do is sorting thru folders of photos, picking which photos to use, sometimes having to edit the photos, and then getting them ready for printing and ordering. The girl's school albums are ones that I do work on every year. Sometimes twice a year. I have blogged a lot about these albums, and you can find all of the posts HERE (just ignore the first two posts that show up, as those pertain to my own school albums). Alyssa's albums are pretty much complete, but I do admit I find random papers and such here and there, and usually stick them somewhere to deal with later. I want to take that last group of high school memorabilia and either add it into the albums, or toss them. Sarah will be graduating at the end of May, so I'll be able to finish up her albums as well. I also finally took the time to photograph a huge stack of art projects from the girls elementary school years a while back (and then tossed them all), and those photos will be here at the end of this week so I can add them into the albums. Gosh. This is an album that is long over-due to be finished. The 6x8" mini album I started to hold all of the band photos from Alyssa's high school years. I started this album her senior year of high school, and she's now halfway thru her third year of college, so I should really get this album finished. I've done a few blog posts in the past about this album, and also shared a bit about it HERE (that also contains the links to the previous posts about it). I still have some photos that need to be sorted, printed, and added into the album. After which, I'll need some title cards, section dividers, journaling, and filler cards. I also started a 6x8" album last year for my scrapbook related travels from over the years. I shared a little bit about it HERE, which was over six months ago, and I still haven't made any progress on it. I also just re-ordered some of the photos that are in the album, as I originally had some printed with white borders and some without (certain sizes didn't have the border option). It's bugged me that they're not all the same, so I have some replacement photos coming at the end of the week to switch out. This is something new for me, but something that's been a big thing for years. Ali Edwards does her "Day In The Life" and "Week In The Life" projects/albums every year (or sometimes more than once), and I've always been very intrigued by the project. I purchased the Week In The Life album kit back in 2015, and even have a few of the Day In The Life mini kits. Every time this project comes around, and people start doing it and sharing their albums, it reminds me how much I want to do it as well. I just need to pick a week, or a day or two, sometime this year, and make it happen. Of course I'll still be making layouts! I'm not giving up on those. I think, in general, I make way less layouts now than I used too. Partly because the girls are older, and they don't want me scrapbooking their stories all the time. Partly because with less design team and assignment work, I'm not creating layouts just because I have to create them. Which means when I create them, it's because I WANT to create them. And yes, I still have lots of layouts that I want to create.